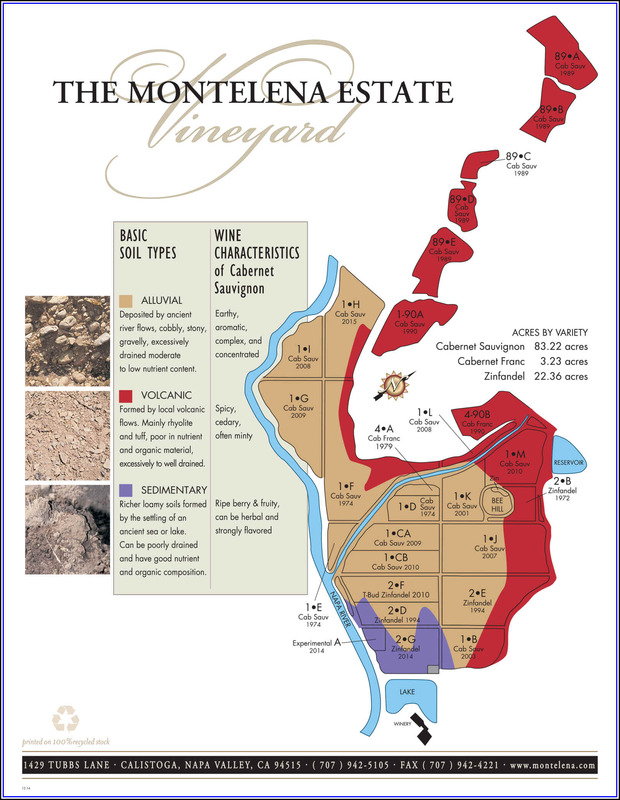 Back in those days, the winery made a Napa appellation Chardonnay and this blend of Sonoma County fruit with juice from Santa Maria in California's Central Coast. 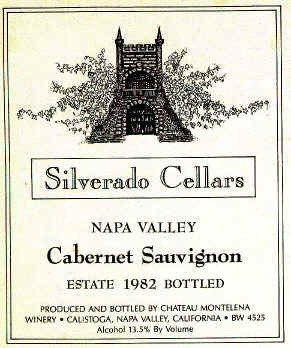 In those days, 13.8% alcohol was pushing the envelope. 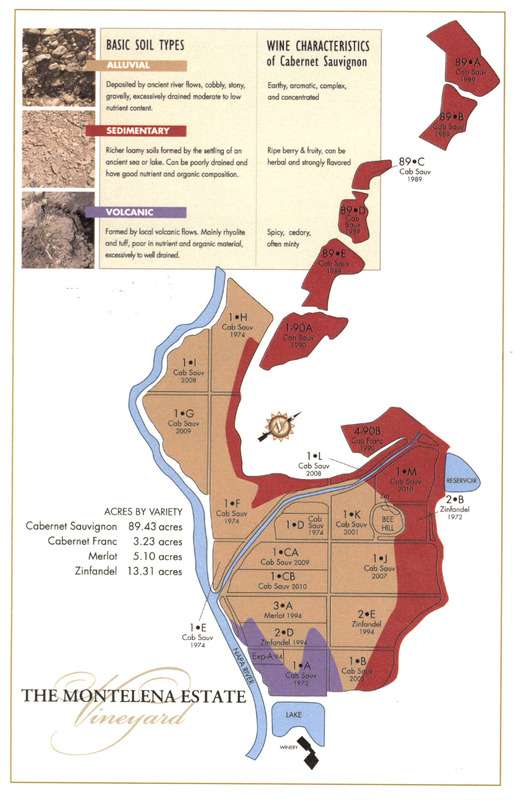 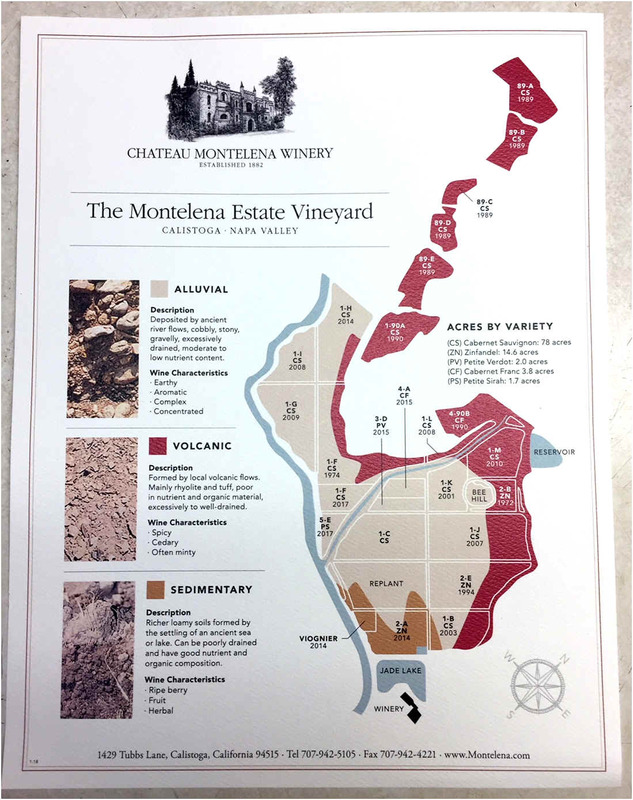 Today, many wineries pick at a level of 15-16% potential alcohol and water down the must or attempt to ferment the juice and then remove some of the alcohol by employing 21st century technology. 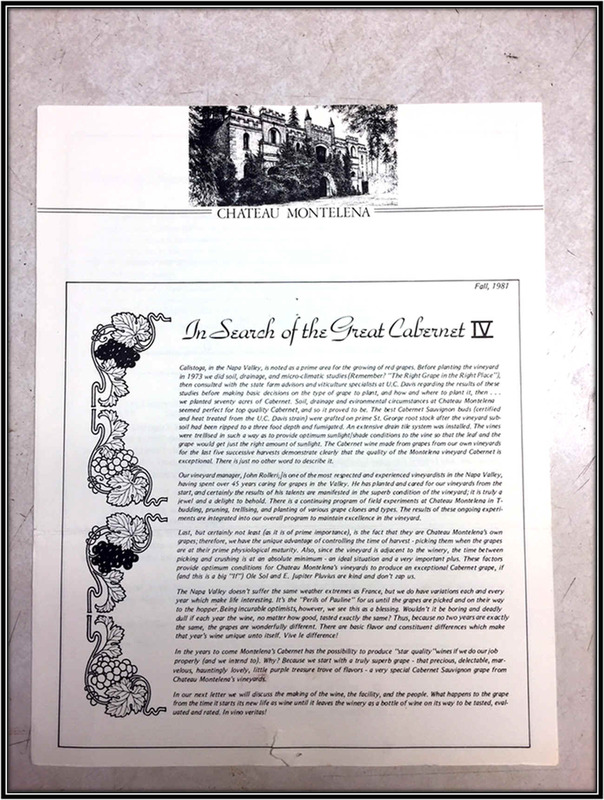 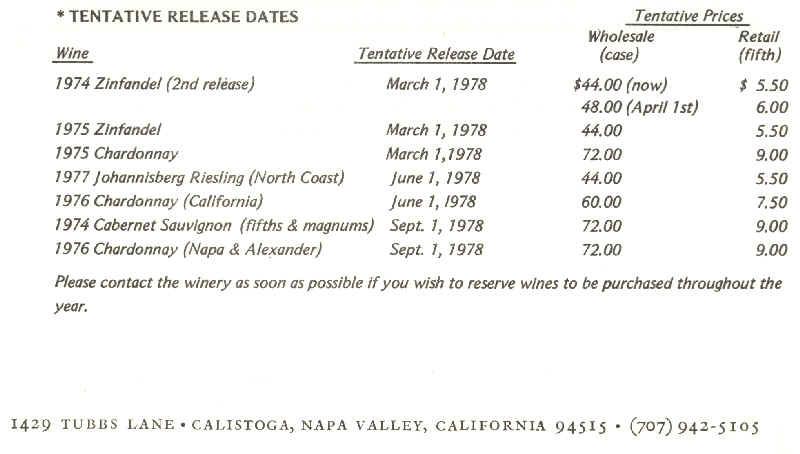 Here's an excerpt from an old release letter with the prices of upcoming Chateau Montelena releases. 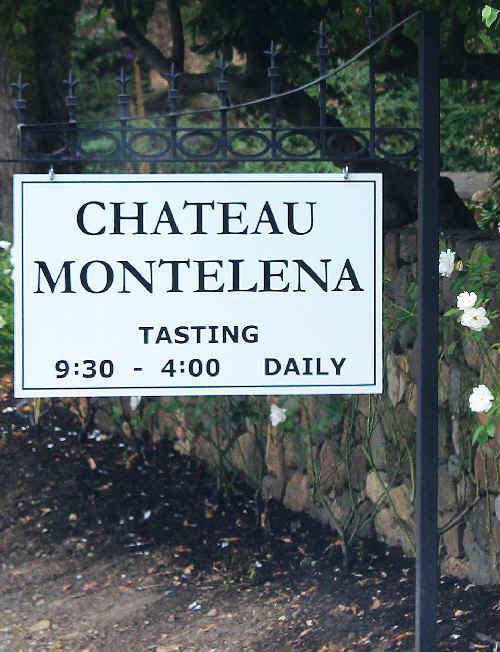 And here's a label Montelena once used many years ago.